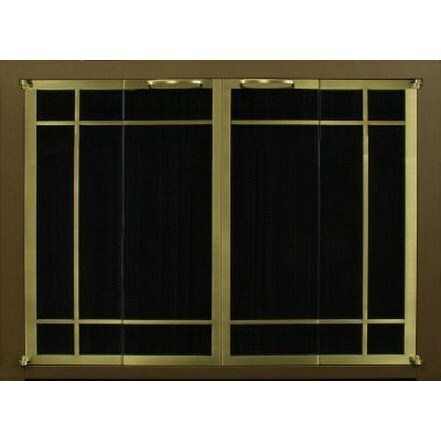 The Ovation II, shown here as The Ovation II Window Pane, is also available in 9 other style options. Click the STYLE button to the right to choose your style option. The OVATION II is constructed using 3/16" stainless steel. Doors are flush with frame and precision hinges enable the doors to glide smooth as silk. Truly a beautiful addition to enhance your fireplace. Quality at it's best! Please see the Info Center for more detailed information at the bottom right of this page.